Marketers use a resend to unopened option when email messages were delivered to subscribers but stayed unread. It allows sending these unread emails again fully automatically. You can even change the subject line and your email sent for the second time will look like a new to a subscriber. How to resend emails to unreads? 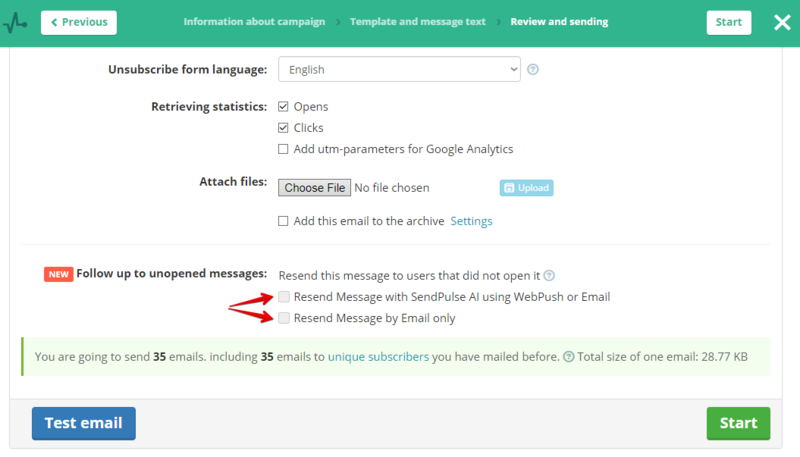 At the last step of creating the campaign, tick "Resend message users that did not open it." Then enter a new subject line and define the date when this newsletter will be resent. Emails will be sent after the specified time. The statistics can be viewed in the "My Campaigns" section. 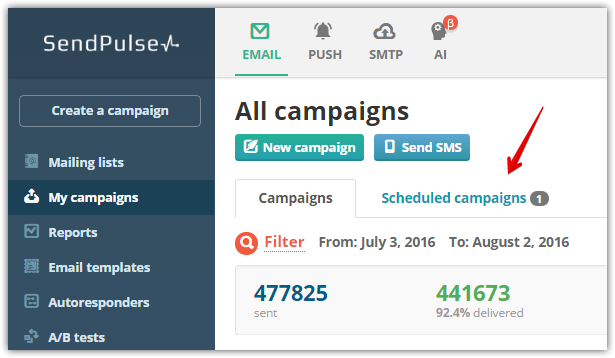 Until the moment of sending, the email will be in the "Scheduled campaigns" section where you can view or cancel it. Rate this article about "Automatic resend to unreads"